Quality, healthy food is part of every organic gift basket from Printez. No matter if sweets, a beverage, or savory foods are included, all are grown and made in the finest manner possible. Organic foods have no taste limitations, and neither do our baskets. 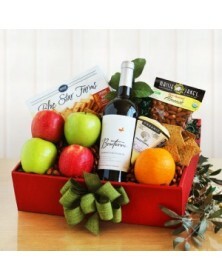 That’s why, when searching for just the right gift, you’ll find various chocolate, fruit, and snack combinations. Along with being good for you, each basket has a gorgeous presentation and is perfect for just about every occasion, from birthdays to holidays.